The jumbo size makes these soft and quiet foam dominoes easy to manipulate. Good for individual or group work. 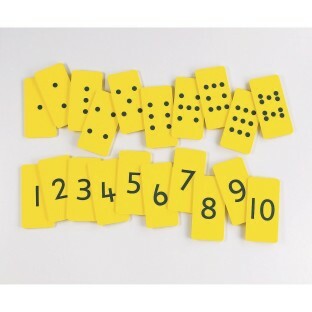 Young children will have fun matching the numbers and the dots. Older children will improve their concentration and memory skills. 20 EVA foam cards from 1-10, each measures 14" x 8".